After years of repeated efforts by artists and climate change activists alike, it seems like 2019 is finally the year that the worlds of fine art and sustainability have finally become intrinsically intertwined. Luckily, we have several examples of contemporary artists who have taken up the standard to defend our environment through projects revolving around sustainable food sources, environmental protection and thwarting climate change. Many of these art exhibitions and projects are international in scope, drawing attention to various initiatives that can spawn environmental progress both at the grassroots and global level. In honor of Earth Day in April, we have taken a moment to highlight specific projects that integrate art and environmental sustainability. Here, we delve into some examples of how sustainability has become an integral theme in contemporary art by exploring specific examples of how artworks can benefit diverse populations who are fighting off the effects of climate change. In 2016, a giant floating art project arrived at various boat docks across the five boroughs of New York City. A combination floating garden and contemporary art project, Swale – a project created by artist Mary Mattingly – gave urban residents the opportunity to better reflect on the meaning and purpose of sustainability in their own lives by featuring a unique garden experience. This project allowed visitors to interact with plants – fruits and vegetables alike – and to benefit from walking through a garden free from pesticides or other environmental polluters. This farm and garden combined welcomed diverse crowds of visitors from every walk of life, involving visitors in hands-on projects and enabling a better understanding of the work and rewards that go into urban farming. Mattingly points out the vital aspects that this project brings to the table for the wide array of guests wandering on the garden-barge. “At its heart, Swale is a call to action. It asks us to reconsider our food systems, to confirm our belief in food as a human right and to pave pathways to create public food in public space.” Public food as organic food, a relative scarcity given our current trend in America toward prioritizing food volume over environmental concerns, is a key component of this bastion of sustainability in one of America’s most densely populated urban centers: New York City. Another artist creatively transforming debris into lyrical imagery recalling environmental features is New York-based Etty Yaniv, who recently participated in an exhibition in Miami, Florida drawing attention to the urgency of pollution’s impact on the climate. Sustainability is central to Yaniv’s practice, with particular attention paid to pollution infiltrating our oceans. Growing up not far from the Mediterranean, her practice incorporates waste found at shorelines and reclaimed from similar sites to mimic natural phenomena such as waves. This aspect of her practice reflects a personal issue for her as well as being an aesthetic choice. Artists creating work around sustainability focus on the personal and the international, the community and the individual to bring plant life and climate change into perspective and to make it easy to relate to on an individual level. Andrea Bowers is an LA-based artist whose artistic practice combines activism, community-building and environmental awareness. Her efforts to improve sustainability are reflected in her attention to detail across political strategy, mobilization, protest and aesthetics. Recently, her work reached a zenith and she debuted a project in partnership with the Perez Art Museum Miami and the Leonardo DiCaprio Foundation in 2017 around the topic of environmental awareness. Her site-specific project, Climate Change is Real (Miami), drew attention to the heightened levels of awareness and attention we need to give urgent issues related to climate change in our contemporary moment. Her work proves that artists can use their fame and career success to champion a greater cause and enact real dialogue and change through their artistic practice. Australian artist Marina DeBris uses waste and debris as her artistic medium, even basing her nom de plume around the concept of the debris impacting our environments. Australia is arguably located in a region of the world experiencing some of the worst impact of changing climate conditions, with the Great Barrier Reef reaching peak levels of coral bleaching in the 21st century. When she relocated in 2009 and became a resident of Venice Beach, California, her artistic practice began to embrace her recycling habits when she started collecting so much debris from roaming the California shoreline that she realized she had to begin including these objects in her artwork. For the past ten years she has exclusively worked with upcycled trash materials, drawing attention to the state of plastics and other waste in our oceans and prompting users of single-use plastics to reconsider how to incorporate sustainable actions into their everyday lives. What lessons can we learn? attention to the heightened levels of awareness and attention we need to give urgent issues related to climate change in our contemporary moment. Her work proves that artists can use their fame and career success to champion a greater cause and enact real dialogue and change through their artistic practice.What lessons can we learn? attention to the heightened levels of awareness and attention we need to give urgent issues related to climate change in our contemporary moment. Her work proves that artists can use their fame and career success to champion a greater cause and enact real dialogue and change through their artistic practice.What lessons can we learn? 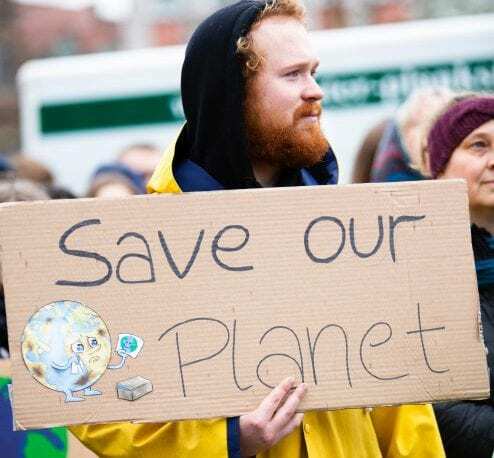 attention to the heightened levels of awareness and attention we need to give urgent issues related to climate change in our contemporary moment. Her work proves that artists can use their fame and career success to champion a greater cause and enact real dialogue and change through their artistic practice. 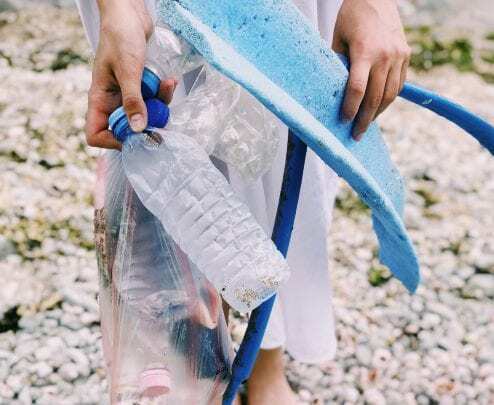 From art institutions embracing sustainability to fast fashion taking a cue and recycling to keep up with fellow creatives, forward-thinking individuals and institutions realize the time for change is now. By taking notes and adopting these strategies from these artists and activists into our own lives, we can embrace methods that will realize sustainable pathways to a brighter future. How have you found ways to incorporate sustainable practices into your everyday life? Add your thoughts here in the comments below.